New Delhi, March 7, 2017: This International Women’s Day, the world’s largest Ayurvedic healthcare company Dabur India Ltd has taken up the cause of health and safety for its women employees. As part of its efforts to create a healthier workplace, Dabur will be hosting special ‘Yoga @ the Workstation’ classes for its women employees to help them reduce work-related stress and inspire them towards a better work-life balance along with insights on nutrition. In addition, the women employees at Dabur would also undergo a special training on proactive safety and security for self. “Dabur is dedicated to the Health & Well-Being of Every Household and no household is complete without the woman of the house. Today, women’s participation is imperative to any company’s growth, as employees, as consumers and as stakeholders. This initiative is aimed at empowering our women staff in dealing with various aspects of life with greater confidence,” Dabur India Ltd Executive Director-HR Mr. V Krishnan said. Dabur has been consciously working towards enhancing gender diversity at the workplace. Hiring of women in Dabur has been growing at a CAGR of 10% over the past 3 years. Around 33% of the young talent hired from campuses this year in the Sales & Marketing functions has been women, and this trend will continue in the years to come. In Corporate Finance, Marketing and R&D, almost 20% of the employees are women. Being a large Health Care company, Dabur has also put in place a separate structure of Product Specialists who interact with Medical Practitioners and 12% of the workforce therein, are women. In the Parlour Channel, almost 60% of the frontline sales staff are women. “Keeping this in mind, we are celebrating International Women’s Day at Dabur and trying to tell our women employees about how special they are and their importance in Dabur’s growth story,” Mr. Krishnan added. The company has also put in place several policies towards encouraging women and enhancing workforce diversity, including initiatives on work-life flexibility focused on women. Given the fact that a growing number of young employees are working couples, Dabur today offers paid Maternity Leave of four months, which is a month more than the statutory requirement. It also offers paternity leave of up to two weeks for male employees. "We also have extended flexi-timing for new mothers. These steps have helped Dabur become more gender sensitive and make our women employees feel more secure,” he said. In addition, Dabur has also rolled out a host of CSR initiatives aimed at empowering women, particularly in rural India. In the remotest areas of Uttar Pradesh, Uttarakhand and Himachal Pradesh, Dabur runs Vocational Training Centres, where women are offered vocational courses and encouraged to start their own enterprises and become financially independent. The company today runs 16 Nari Shakti Kendras, in addition to 9 Adult Literacy Centres. The company has also helped 3 villages – one in Baddi (Himachal Pradesh) and two in Ghaziabad (Uttar Pradesh) – achieve Open Defecation Free status with the construction of household toilets. 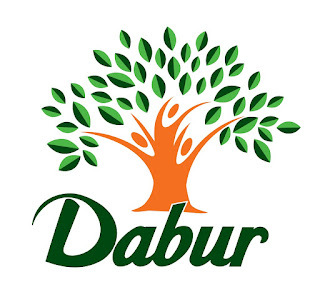 Dabur India Limited is one of the leading FMCG companies in India. Building on a legacy of quality and experience for over 133 years, Dabur is today India’s most trusted name and the world’s largest Ayurvedic and Natural Health Care Company. Dabur India’s FMCG portfolio includes five flagship brands with distinct brand identities -- Dabur as the master brand for natural healthcare products, Vatika for premium personal care, Hajmola for digestives, Réal for fruit-based drinks and Fem for fairness bleaches & skin care.